It’s time to think outside the sewer, writes Alia Dharssi for Ozy in a new article on how sanitation practitioners like SOIL are leading the way for a global sanitation revolution. “Globally, more than 1 billion people live in slums with inadequate or no toilets. That condition is spawning a health crisis, with research linking poor sanitation to the transmission of diseases like cholera, malnutrition and intestinal worms. Less than 10 percent of wastewater is treated in some countries such as Lebanon and Cambodia, according to a 2017 United Nations report. So what’s the solution? 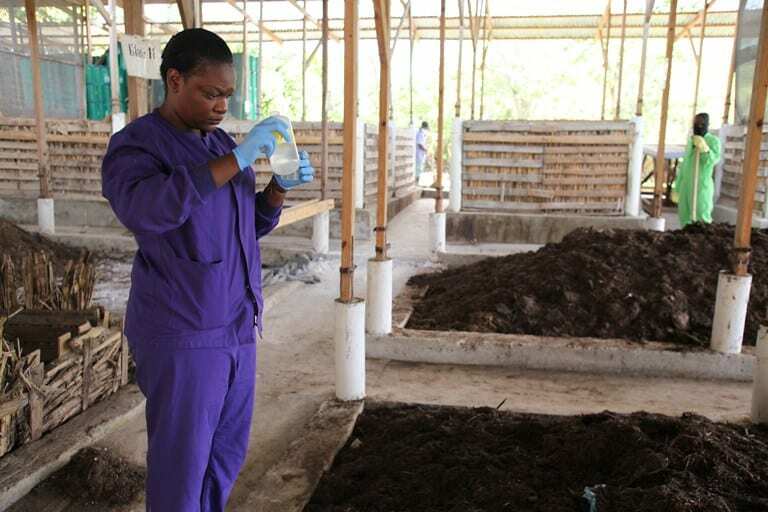 Read the full article to learn about the safe, affordable, and ecologically-beneficial sanitation system that SOIL is developing in Haiti. 1 Reply to "Ozy: Why Cities are Starting to Shun Sewers"
As seas continue to rise with the impact of global warming, many traditional wastewater treatment plants near coasts will be unable to operate safely. Beginning to plan more urban dry sanitation systems now will optimise fresh water use and retain soluble nutrients for regenerating productive soils.